I’ve always felt that I’m not more adventurous when it comes to wearing eyeshadows because quite frankly I’m not really that great when it comes to application! I tend to stick to safe colours like Taupes, Beige, Browns and the usual neutral shades during the day and a bit of golds and smokey blacks for the evening. So today as part of my New Year New Me Beauty Challenge, I’ve decided to pick an eyeshadow trend that I like and give it a whizz myself! 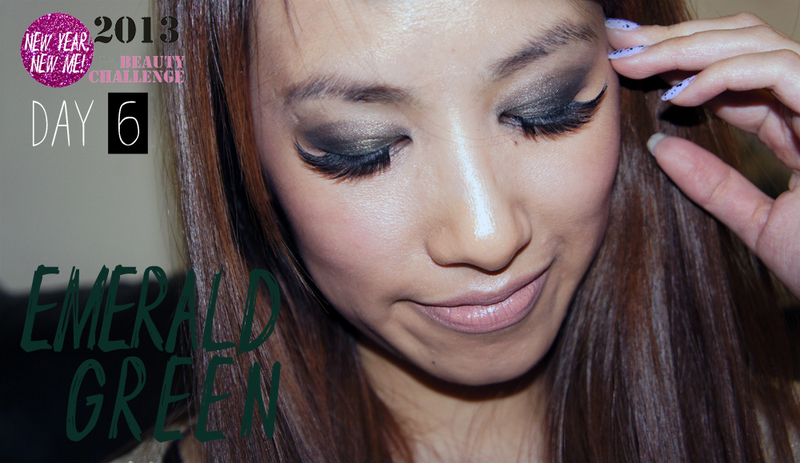 I’ve chosen to do Emerald Green Eyes that was sported by the Jason Wu Runway Models AW12/13 for two reasons! One being it looks quite easy to achieve and two because I just love that colour! 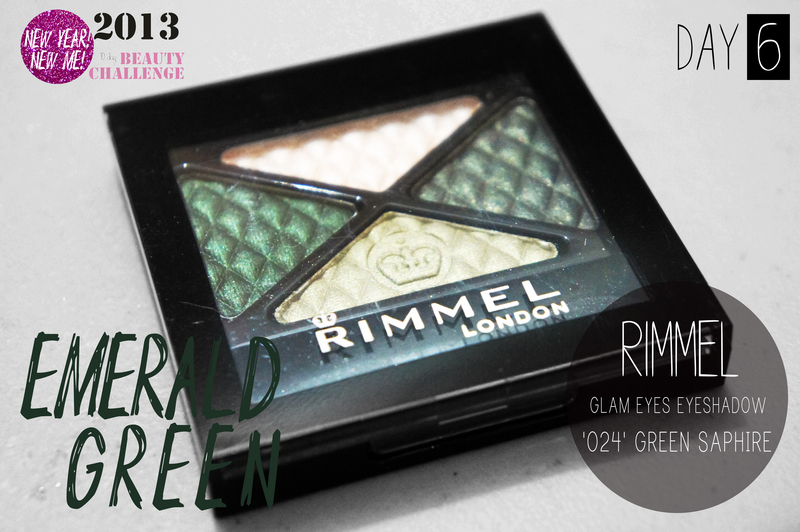 I picked up this Rimmel ‘Glam Eyes’ Eyeshadow Quad in shade 24 ‘Green Saphire‘ from my local supermarket, but you can usually find Rimmel products in any High street Retailer like Boots or Superdrug for £6.99. By the way I can not believe that this is the FIRST Eyeshadow I’ve ever owned by Rimmel, I don’t know why I’ve never tried them before? I have loads of their lipsticks, polishes and eyeliners but never ever an eyeshadow! Haha I don’t know why that was important but I was just surprised that’s all! Especially because now that I’ve tried it, I find that they really are gorgeous to work with! 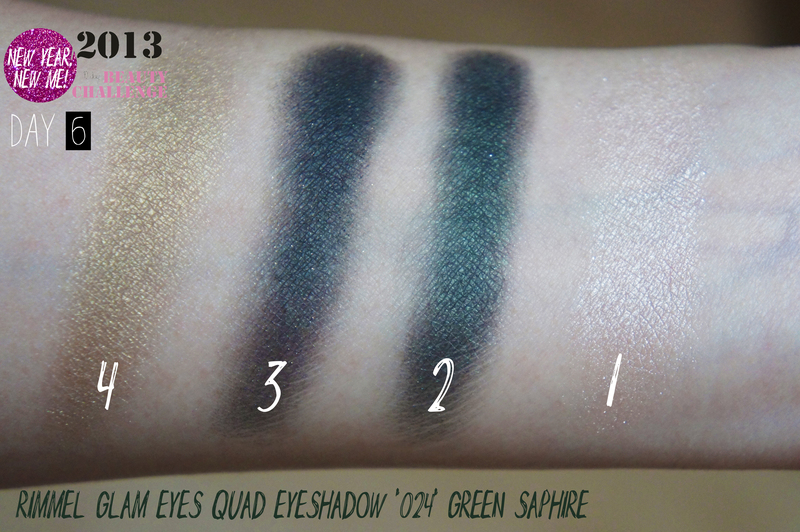 Easy to blend and great colour payoff! Can’t complain! 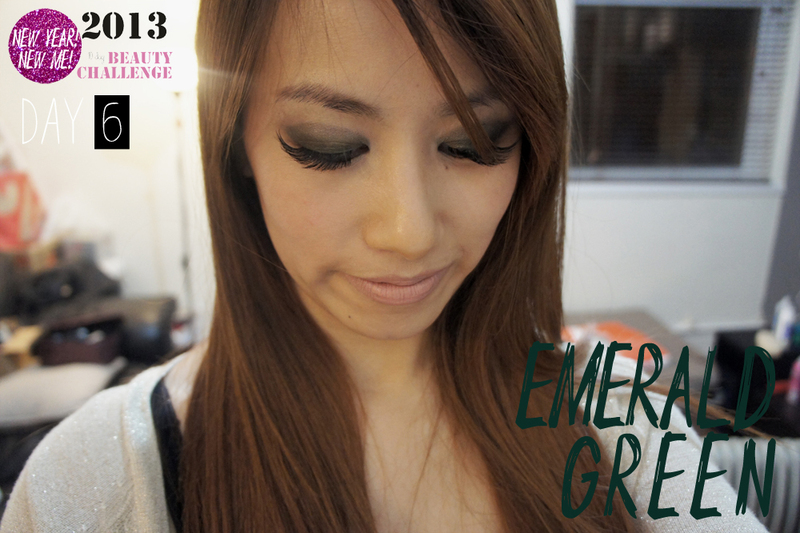 So anyway, here is my attempt at the Emerald Green Eyes trend! I will have to continue my quest to find that Emerald Green though! Have you tried this trend? What Eyeshadow would you recommend to best achieve this look? Would love to know so please leave your suggestions below if you have one! 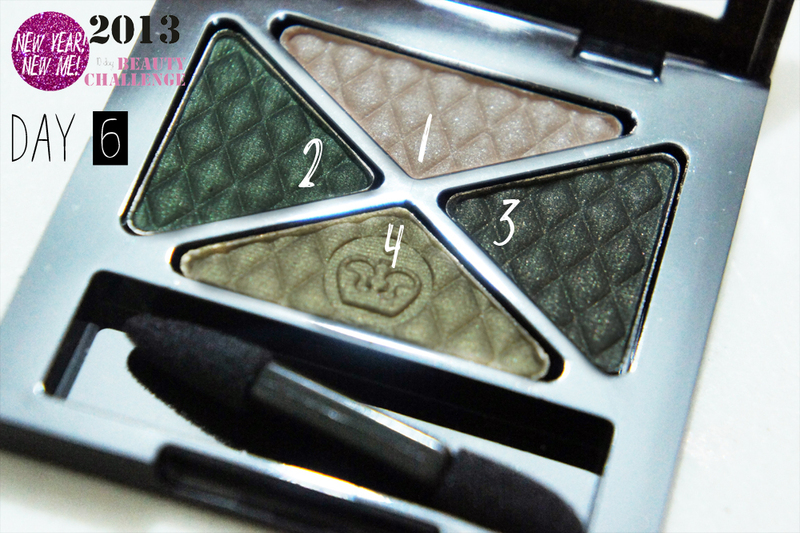 Tags: Beauty Trends, Emerald, Emerald Green, Jason Wu AW12/13, review, Rimmel, Rimmel Glam Eyes Eyeshadow Quad 024 Green Saphire, Runway AW12/13, Swatches. Bookmark the permalink. Previous post ← DAY 5: COMING CLEAN!